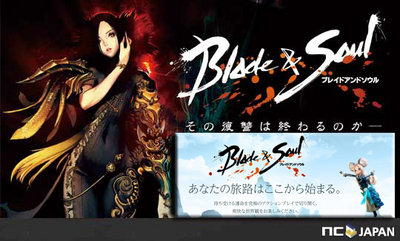 Blade&Soul（R） is a registered trademark of NCSOFT Corporation. Copyright (ｃ) 2014 NCSOFT Corporation. NC Japan K.K. was granted by NCSOFT Corporation the right to publish, distribute and transmit Blade&Soul in Japan. All rights reserved. Blade&Soul(R) is a registered trademark of NCSOFT Corporation. Copyright (C) 2014 NCSOFT Corporation. NC Japan K.K. was granted by NCSOFT Corporation the right to publish, distribute and transmit Blade&Soul in Japan. All rights reserved.